CONvergence is here! Perhaps unsurprisingly, it will be difficult to avoid spotting the Twin Cities Geek team on the ground at the DoubleTree Hotel. Read on to discover where you might spot us! Editor and contributor Aaron Coker will be all over CONvergence representing the Just Enough Trope podcast. He’ll also be a panelist for “Dragon Age: To Tevinter and Beyond!” and “Uphill Both Ways” and both a panelist and host for “Everything New Is Old Again” and the Captain America: Civil War panel (the last two with fellow TCG writer Satish Jayaraj). And after a hard day of geeking, he’ll Batdance the night away at the Purple Party Room, hosted by TCG’s Garrick Dietze! Can’t decide between man and dog? Hopefully you’ll spot game reviewer Adam Haverkamp dressed as everyone’s favorite mawg, Barf! He might even have a tasty dog treat for you or your best friend (unless, of course, you are your own best friend). He will otherwise be drinking, geeking, and generally cavorting. Contributor Anissa Gooch won’t be attending CONvergence itself, but you can catch her Friday night at the Harmonic CONvergence performance of the epic Midwest retrofuturist steampunk art rock band Bad September at the Crowne Plaza hotel. Catch the 100 percent free CONvergence 24-hour shuttle and join her as she rocks out to musical alternate histories of Queen Victoria, Nikola Tesla, and Oscar Wilde, Super Spy! Throwback Thursday film columnist Garrick Dietze will be hosting the Purple Party Room, where you can pay your respects to the purple reign of Prince. Go crazy all weekend long and party like it’s 1999—raspberry berets optional. Contributor Joe Weinberg will wander CONvergence at will, but he will definitely be on site to record an episode of Late to the Party, a locally produced podcast guide to geek culture. Contributor Kelly Starsmore, who focuses on indie book reviews, will be spending most of her convention time wandering. Outside the official Twin Cities Geek panel, you have the best chance of running into her at the Supernatural panel. After dusk you can find her on the smoking patio, making new friends. Senior editor and contributor Madeleine Vasaly will be experiencing CONvergence for the first time ever! She’ll be staffing the TCG fan table on Friday evening and sitting on the Twin Cities Geek panel on Saturday. 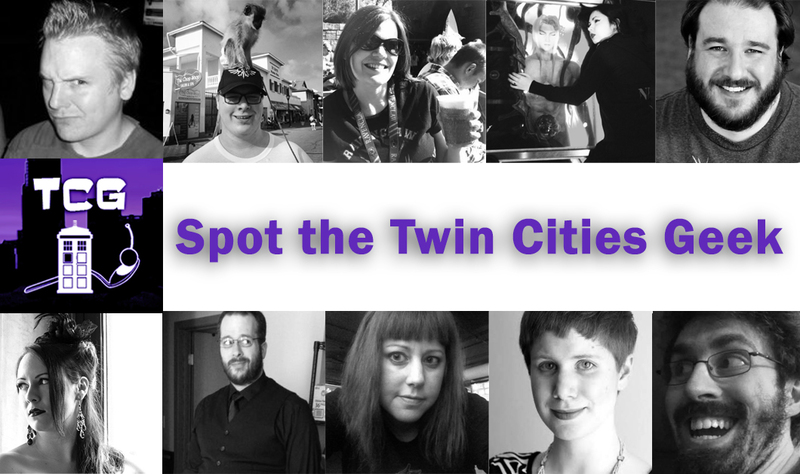 Below is the complete list of panels where Twin Cities Geeks staff will be speaking—there are a lot!